Ucom comes up with an unprecedented in a telecommunications market 4 Play convergent offer of fixed and mobile services. By joining the company’s 4 Play offer, the subscribers will get the Triple Play fixed services and Universal mobile tariff plans in one package. “This offer first and foremost enables you to enjoy the Triple Play services at a special, more affordable monthly fee. Besides, Ucom Universal tariff plan subscribers can create a closed user group of 5 phone numbers and to to each other unlimitedly. 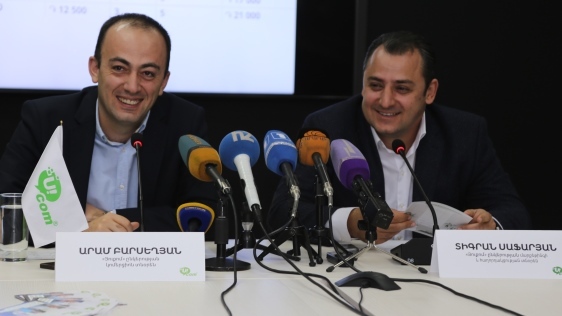 Moreover, within the frames of “Video on Demand” service it is possible for a family to watch a certain number of movies, for it’s a family offer that we’ve created”, - said Aram Barseghyan, the Commercial Director at Ucom. 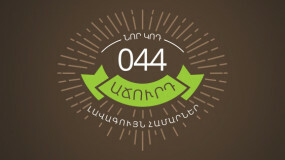 “At the moment none of the companies provides any convergent packages of fixed and mobile services of this scale, which makes the 4 Play a truly exclusive offer in the Armenian telecommunications market. 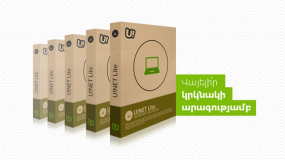 The rich and constantly updated television content, fixed internet, video on demand, fixed and mobile telephony will ensure the communication of each family with the outside world, but those are never a substitute for live interaction and family warmth”, - said Tigran Safaryan, the Director of Marketing and Communications at Ucom. 4 Play offer is the first amongst the variety of the convergent offers awaited by the Ucom customers. From now on the fixed internet U!Net Lite tariff plan subscribers will enjoy the speed of 6 Mb/sec instead of the previous 3 Mb/sec. In case they join the offer for 12 months, they will benefit from the speed of 12 Mb/sec instead of the previous 6 Mb/sec.